Norman Stanley Fletcher famously revealed when confronted by the Slade prison medics about his inability to find gainful employment "with these bad feet who'd have me". And recently released performance stats from the WhoScored system suggest that 'bad feet' are a Fletcher familial affliction as current Hammers' striker Ashley Flethcher has been ranked our poorest performer so far this season! Having picked up a lowly average score of 6.12 in his 12 appearances this season he finds himself at the bottom of our squad rankings - although treachery and betrayal are not included in the ratings which accounts for Dimitri Payet's splendid 7.8 average score! 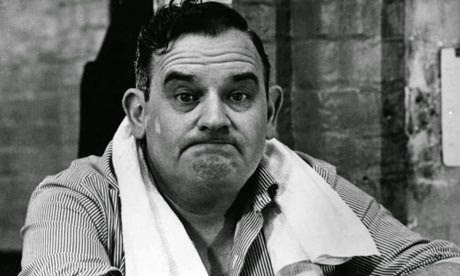 The last time we used this gag about the central character in Porridge, it was in terms of West Ham's bid to sign Darren Fletcher who in Jan 2015 had become surplus to requirements at Manchester United. At that point, Fletcher had amassed a mere 34 games in his previous four seasons at Manchester United. Interestingly, we are occasionally wrong at VERYWESTHAM. In the intervening period Fletcher, having made the move to West Brom, has become club captain and has been almost ever-present for the baggies delivering a whopping 75 appearances. However, one wonders if Darren would have enjoyed such good fortune with injuries if he had moved to West Ham where for whatever reason we seem to be afflicted by a recurring injury-plague. With that in mind and now in the final days of the transfer window, it's time to move on from the Payet farce and focus upon the fact that WE NEED REINFORCEMENTS UP FRONT!! !